Citrus by-products are secondary product derived from the manufacturing process of citrus fruits. Pulps and cells are the most wanted products of this section and they are available in “unwashed” and frozen quality; aseptic orange and lemon cells can be available upon prior agreements during the crop. 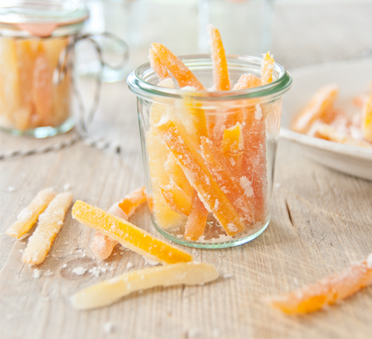 We have also included frozen and IQF citrus peels and recently developed special preparations for citrus jams.